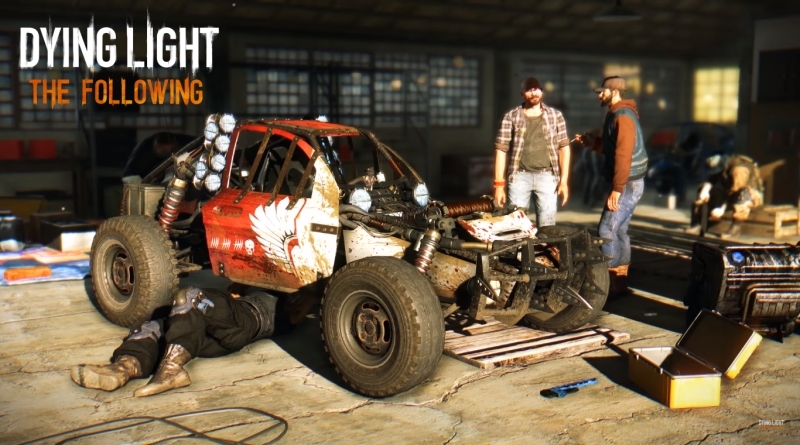 In this new expansion pack of Dying Light, you will get your hands on these amazing buggies packed with awesome features such as customization, modifications and lots of upgrades. But as you know the Dying Light The Following is an action zombie survival game you should also know that your buggy will eventually wear out. But There are plenty of things that you can do to increase the life span of your ride. So in this Dying Light The Following Buggy guide we will provide some tips for you to get the most out of your buggies. Whenever you saw horde of zombies and you want to escape the area do not plan to sit in your ride and try to crush these zombies as different zombies have different characteristics which means you can not crush all zombies with your little fragile buggy. Some giant monsters are just road blocks so you should avoid hitting them or try to kill them with the Buggy. Don’t use slops to make high jumps and fancy landings too much this will damage your buggy if you crash land and the damage will add up and then you will definitely going to lose your precious ride. You can also try to have land mine upgrade for your buggy which is a pretty awesome weapon for your buggy not just from the safety point of view but also for the fun part. You need fuel and screws for your buggy so always look for cars, military vehicles and utility vans for fuel and screws. Try to complete different challenge posters to get great parts blueprints for your buggy, you can start from easy or medium and then move on to hard challenges. Just remember one thing that the higher the challenge is the better blueprint you will get. All these Buggy blueprints are same as your weapon blueprints, which means once you used these blueprints they are gone from your inventory. A small catch in this is that you can save these better blueprints for harder race challenges rather than consuming on some off road zombie massacre fun ride. And last is your driver skills and upgrades, you need as many skills and as many upgrades you can get to top the races and other challenges that you may face. Some of the races are really insane and impossible to complete so save your best blueprints for these kind of races. If you want to customize the look for your buggy you need to visit paint job locations to get new looks for your awesome buggy. You can check out these Dying Light The Following Paint Job Locations for stunning styles.